The hostage taker's identity is unknown. But he knows who FBI agent Eve Rossi is—and everything about her past. Along with her presence, he demands five witnesses: ordinary people with some hidden connection. Defying her superiors, Eve begins a deadly dance with an adversary whose intentions are surely sinister, whose endgame is anything but certain, and whose cunning keeps him one step ahead at every turn. As Eve manages a taut hostage situation, she relies on the combined skills of her team—a secret unit inspired by France's most notorious criminal and made up of ex-convicts with extraordinary talents, oversized egos, and contempt for the rules. Signed copies are available from The Mysterious Bookshop. They ship worldwide! 2016 Barry Award Nominee for Best Thriller! "One of the best thrillers of the year." "Pintoff skillfully ratchets up the tension and throws more than one curveball into this twisty, exciting read." "Fast-paced ... the galloping storyline and behind-the-scenes view of St. Patrick's make this an addictive read." "A high-voltage game of parry and thrust." "I know when I'm in the middle of a good thriller—I don't want to put it down. That was certainly the case with this page turner." "The concept is great. . . . The twists are good, and the emotion level climbs higher and higher. . . . Pintoff has serious potential to go into waters already charted by the likes of Lisa Gardner, Tami Hoag, and Allison Brennan." "Held hostage by Hostage Taker—Stefanie Pintoff's amazing new thriller . . . [Hostage Taker] will keep you awake nights. . . . The book boasts a dynamic heroine. . . . You will never look at the beauties of the complicated structure that is St. Patrick's Cathedral in New York quite the same again." "A gripping conclusion . . . tense and thoughtful . . . a sharp new crime series." "Unpredictable from the opening page to the finale that will raise eyebrows, Hostage Taker is one of the best thrillers of the year. Pintoff has a terrific launch to what is hopefully a series." "It's a roller-coaster ride all the way to the truly impressive final twist." "The perfect blend: an urban thriller as modern as tomorrow's New York Times, driven by a two-hundred-year-old idea, with a main character to die for. I hope we see plenty more of Eve Rossi and her team." "A high-velocity roller coaster of a thriller! With her razor-sharp prose and keen ear for cop- and street-speak, Stefanie Pintoff masterfully spins this twist-filled tale of a delicious assortment of good guys with less-than-good pasts, marshaled by one of the most compelling protagonists to come along in years. Heroes don't get any better—or come any more fully formed and richly drawn—than Eve Rossi." 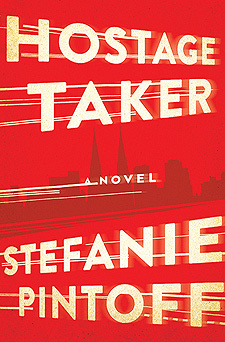 "Stefanie Pintoff's Hostage Taker is one of the most exciting and thoroughly engaging thrillers that I have read in years. Reading this book is like riding a rifle bullet: it starts at full throttle and never slows down. A great start to what promises to be a terrific new series." "Hostage Taker is a brilliant thriller from a gifted writer. Stefanie Pintoff expands her range with this ambitious and masterfully crafted tale, and the result is a tension-filled tightrope walk of a novel. Stefanie Pintoff is one of the best crime writers at work today."